1: Tax party: Get ready for the new tax law to create a $ 450 billion boom — of stock buybacks. Corporate America is sitting on a mountain of money overseas, built during years of hoarding foreign profits to avoid paying U.S. taxes on them. The new law gives companies a tax break — paying between 8% and 15.5% instead of the usual 35% — to bring that money back to America. Wall Street can’t wait for the roughly $ 1.2 trillion in foreign profits that S&P 500 companies are sitting on to get returned. Some of that money will go toward creating jobs and rewarding workers with a raise or a bonus. But analysts believe the bulk of it will be used to reward shareholders. In fact, Bank of America forecasts that companies will devote $ 450 billion — or roughly half the remainder after paying taxes — to stock buybacks. That’s a huge windfall that doesn’t even include buybacks inspired by the lowering of the corporate tax rate to 21%. It nearly totals the entire amount that S&P 500 companies bought back in 2016. If that prediction sounds aggressive considering the tax law is supposed to be about jobs, consider history. During the last repatriation holiday in 2004, roughly 80% of the money was spent on buybacks, BofA said. The firm assumes a smaller percentage now because stocks aren’t as cheap this time around. Some cash will also be used to pay down debt, pay for acquisitions and pay for $ 1,000 bonuses like the ones announced last week by JetBlue(JBLU), Southwest Airlines(LUV) and U.S. Bancorp(USB). 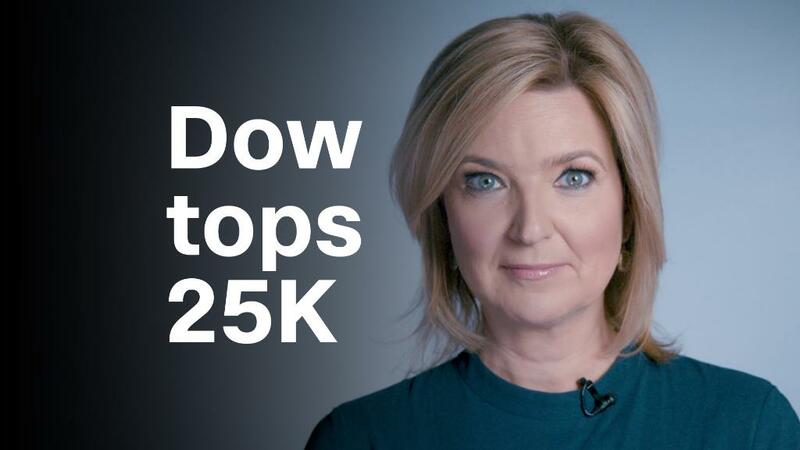 This looming buyback bonanza has Wall Street seriously excited, helping to fuel the Dow’s relentless race to 25,000. Investors love stock buybacks because they represent a vote of confidence in the company. Even better, eliminating shares through buybacks instantly makes a key measure of profitability known as earnings per share look better. Companies don’t even need to haul in bigger profits. Wall Street is betting on lots more buybacks from the cash-rich tech world. Apple(AAPL), Microsoft(MSFT), Google owner Alphabet(GOOGL), Cisco(CSCO) and Oracle(ORCL) hold nearly $ 600 billion in overseas cash, according to Moody’s. 2. Banks report earnings:JPMorgan(JPM JPMORGAN CHASE), Wells Fargo(WFC) and PNC(PNC) are all set to report fourth quarter earnings on Friday. Overall, big banks had a good 2017. Last quarter, JPMorgan reported earnings and revenue that topped forecasts. Citigroup(C) also had good results, as did asset manager BlackRock(BLK), which also plans to reports earnings on Friday. Wells Fargo had a more difficult year, because of the continuing fallout from its fake accounts scandal. But 2018 will likely be even better for banks — and especially Wells Fargo. Recent analysis by Goldman Sachs(GS)‘ equity research team found that the bank will get an 18% boost in earnings from the new tax law. On average, Goldman found, the country’s seven biggest banks profits will grow by 14%. Banks stand to gain from the plan’s big cut in the corporate tax rate, from 35% to 21%. Plus, higher rates help to boost bank profits because banks can make more money from lending. 3. December retail sales: The Census Bureau plans to report retail sales figures for December on Friday. Struggling retailers got a bit of a break in November, when retail sales grew by 0.8% — better than expected. And economists predict a 0.4% increase month-over-month for retail sales in December, when many Americans did their holiday shopping. Retailers are bracing for a rough year ahead. Macy’s(M) and JCPenney(JCP)recently warned that they’re expecting sales to fall compared to last year, and L Brands(LB), the owner of Victoria’s Secret, Pink and Bath & Body Works, slashed its profit outlook for the fourth quarter. And in addition to shuttering stores in 2017, retailers have been losing workers. While other industries are growing, the retail sector shed 66,500 jobs last year. 4. Iran sanctions deadline looms: As soon as Friday, President Trump will have to decide whether to continue waiving sanctions on Iran. Sanctions are not set to expire for several years. But the waivers, which must be renewed every 120 days to keep the United States a party to the Iran nuclear deal, suspend them temporarily. Trump waived the sanctions at the last deadline, but it’s not clear whether he will do so again. If he decides not to, Boeing’s $ 8 billion deal to sell 80 jets to Iran Air could be at risk.And multinationals like General Electric(GE), which said last year that it was looking at possible business in Iran, could find themselves disappointed. 5. CES kicks off: CES 2018 officially starts on Tuesday and runs through Friday. Tech companies like LG(LPL), Samsung(SSNLF), Microsoft(MSFT) and others use the international consumer electronics show to wow the public with new gadgets. This year, notably, Intel(INTC)‘s CEO will give a keynote address — and perhaps answer some questions about the chips making some computers and smart phones susceptible to hackers. Do I have enough savings for a secure retirement?